The owners of Ballina’s first craft brewery Seven Mile Brewing Co have found that patience is as valuable a skill as brewing when it comes to opening a brewery. Father and son duo Lou and Matt Wilson said the brewery, which opened just over a month ago, had been in planning for more than two years. Having searched through sites in Sydney, they had to look further afield, due to the “phenomenal” costs of owning a brewery close to the CBD. Matt, formerly of 4 Pines and Riverside Brewing Company under Dave Padden, is heading up the brewery operation. Matt says he’s “very fresh” on the kit, but still managed to win a Gold Medal at last month’s Indies for his West Coast IPA. Matt says that the brewery was designed first and foremost as a production brewery. “It’s got very much an industrial feel – we’ve got no dividers, no glass walls,” Matt said. 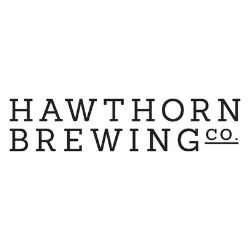 The brewery is a 12hl Premier Stainless brewhouse, with three 12hl fermenters and two 24hl fermenters, as well as a 12hl bright tank and a 24hl bright tank. Matt says it’s his first time using a direct-fire LPG system, having used steam or electric before this. “It’s been a learning curve, but it’s been exciting,” he said. With brew number 11 in the tanks, Matt says he is aiming to get a canning line installed in the next three months. They already have their can design, which is clean and classic but with a hand-painted hieroglyph pattern that subtly canvasses the entire surface area. “They’re all hand painted images that our graphic designer drew, basically things we thought represented the northern rivers and Australia,” Matt said. “It keeps it interesting – keeping it interesting while keeping it clean,” Matt explained. Lou has named the brewery after Seven Mile Beach, where he has lived in Lennox Heads for 26 years. “Additionally, the brewery is actually seven miles from my home, and because we are at the Ballina Byron Airport, commercial jets fly at an altitude of seven miles on the journey to and from Ballina,” Lou explained. It’s been a challenge for the pair, with delays due to council and the weather. “There’ve been probably plenty of times that if someone had asked if we wanted to give it all up, that we’d have said yes,” Lou said. Lou says that local breweries Stone and Balter have both been really supportive. “They have been keeping in touch, asking if there’s anything they can do for us,” Lou said. “We can legitimately say that the support within the independent sector is substantial to collectively take on the multinationals,” Lou concluded. With an Australian Summer Ale, a West Coast IPA and an American Pale Ale in the core range, Lou and Matt hope to have up to seven styles in circulation, with a seasonal offering every six to eight weeks. Seven Mile Brewing Co is located at202 Southern Cross Drive, Ballina NSW.